Dr. Casey Taft, author of “Motivational Methods for Vegan Advocacy, A Clinical Psychology Perspective,” discusses an important but rarely discussed topic in animal advocacy: the impacts of exposure to trauma. Foot in the Door to Nowhere? Tensions between vegan and non-vegan loved ones are often heightened during the holidays. Some vegans decide that they simply can’t attend a holiday or event where others celebrate by dining on an animal carcass. Others don’t feel that this is a good option for them. 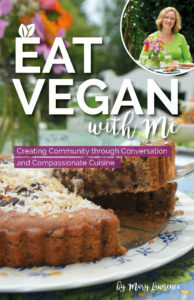 The following article offers some tips for vegans who spend the holidays with their non-vegan loved ones. Should animal advocates base their advocacy on “market research” with those who wish to continue eating and using animals? For this week’s blog, Casey discusses how our ethical argument is undermined by such strategies. Concern for human problems is often used in an attempt to negate the importance of going vegan. Veganism is trivialized as something for “animal lovers,” not social justice advocates. The good news is that you don’t need to prioritize animal issues to go vegan, and here’s why. Is Veganism a Social Justice Issue? For today’s blog, Saryta discusses how promoting “cutting down” on animal exploitation, or reducetarianism, is illogical and entirely counterproductive from a social justice perspective. Those who advocate for reducing our exploitation of animals, rather than eliminating it, will often claim that their approach is more “effective.” The problem with such claims is that there is zero scientific evidence to support them. This article discusses how this misuse of the language of science may ultimately be harmful to animals.